This paper presents the mechanical design of a new three-fingered robot hand for a robot designed to handle tableware. The finger mechanism has three joints and consists of a pair of fourbar linkage mechanisms, one small gas spring, and one feed screw mechanism. As the feed screw moves, the finger mechanism performs flexion and extension operations with its joints interlocked. The gas spring generates gripping force, which is adjusted at the position of the moving part moved by the feed screw. Therefore, the three-fingered robot hand can open and close synchronously, powered by a single motor in the base of the hand. The hand grips with mechanical flexibility. In addition, it can maintain its grip with no power supply. Tests show that the hand can successfully perform the movements required to grasp various kinds of tableware. J. Tanaka, “Three-Fingered Robot Hand with Gripping Force Generating Mechanism Using Small Gas Springs – Mechanical Design and Basic Experiments –,” J. Robot. Mechatron., Vol.31, No.1, pp. 118-134, 2019. G. Hirzinger, J. Butterfaß, M. Fischer, M. Grebenstein, M. Hähnel, H. Liu, I. Schaefer, and N. Sporer, “A Mechatronics Approach to the design of light-weight arms and multifingered hands,” Proc. IEEE Int. Conf. on Robotics and Automation, pp. 46-54, 2000. P. He, M. H. Jin, L. Yang, R. Wei, Y. W. Liu, H. G. Cai, H. Liu, N. Seitz, J. Butterfaß, and G. Hirzinger, “High Performance DSP/FPGA Controller for Implementation of HIT/DLR Dexterous Robot Hand,” Proc. IEEE Int. Conf. on Robotics and Automation, pp. 3397-3402, 2004. H. Iwata and S. Sugano, “Design of human symbiotic robot TWENDY-ONE,” Proc. IEEE Int. Conf. on Robotics and Automation, pp. 580-586, 2009. K. Kaneko, K. Harada, and F. Kanehiro, “Development of Multi-Fingered Hand for Life-size Humanoid Robots,” Proc. of IEEE Int. Conf. on Robotics and Autom., pp. 913-920, 2007. W. T. Townsend, “The BarrettHand grasper, programmably flexible part handling and assembly,” Industrial Robots, Vol.27, No.3, pp. 181-188, 2000. A. Namiki, Y. Imai, M. Ishikawa, and M. Kaneko, “Development of a High-speed Multifingered Hand System and Its Application to Catching,” Proc. IEEE/RSJ Int. Conf. on Intelligent Robots and Systems, pp. 2666-2671, 2003. S. Hirose and Y. Umatani, “The Development of Soft Gripper for the Versatile Robot Hand,” Machine and Mechanism Theory, Vol.13, pp. 351-359, 1978. A. Dameitry and H. Tsukagoshi, “Lightweight pneumatic semi-universal hand with two fingers aimed for a wide range of grasping,” Advanced Robotics, Vol.31, pp. 1253-1266, 2017. D. M. Aukes, M. R. Cutkosky, S. Kim, J. Ulmen, P. Garcia, H. Stuart, and A. Edsinger,“Design and Testing of a Selectively Compliant Underactuated Hand,” The Int. J. of Robotics Research, Vol.33, No.5, pp. 721-735, 2014. L. U. Odhner, L. P. Jentoft, M. R. Claffee, N. Corson, Y. Tenzer, R. R. Ma, M. Buehler, R. Kohout, R. D. Howe, and A. M. Dollar, “A compliant, underactuated hand for robust manipulation,” The Int. J. of Robotics Research, Vol.33, No.5, pp. 736-752, 2014. M. Ciocarlie, F. M. Hicks, R. Holmberg, J. Hawke, M. Schlicht, J. Gee, S. Stanford, and R. Bahadur, “The Velo gripper: A versatile single-actuator design for enveloping, parallel and fingertip grasps,” The Int. J. of Robotics Research, Vol.33, No.5, pp. 753-767, 2014. M. G. Catalano, G. Grioli, E. Farnioli, A. Serio, C. Piazza, and A. Bicchi, “Adaptive synergies for the design and control of the Pisa/IIT SoftHand,” The Int. J. of Robotics Research, Vol.33, No.5, pp. 768-782, 2014. H. Stuart, S. Wang, O. Khatib, and M. R. Cutkosky, “The Ocean One hands: An adaptive design for robust marine manipulation,” The Int. J. of Robotics Research, Vol.36, No.2, pp. 150-166, 2017. 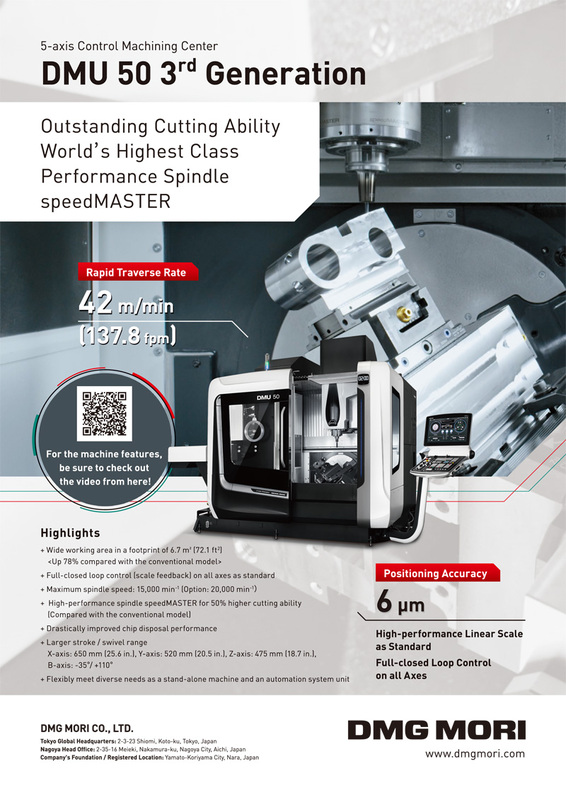 Y. Ishizuka and K. Koganezawa, “Novel Mechanism of Artificial Finger using Double Planetary Gear System,” J. of the Robotics Society of Japan, Vol.26, No.6, pp. 699-710, 2008 (in Japanese). 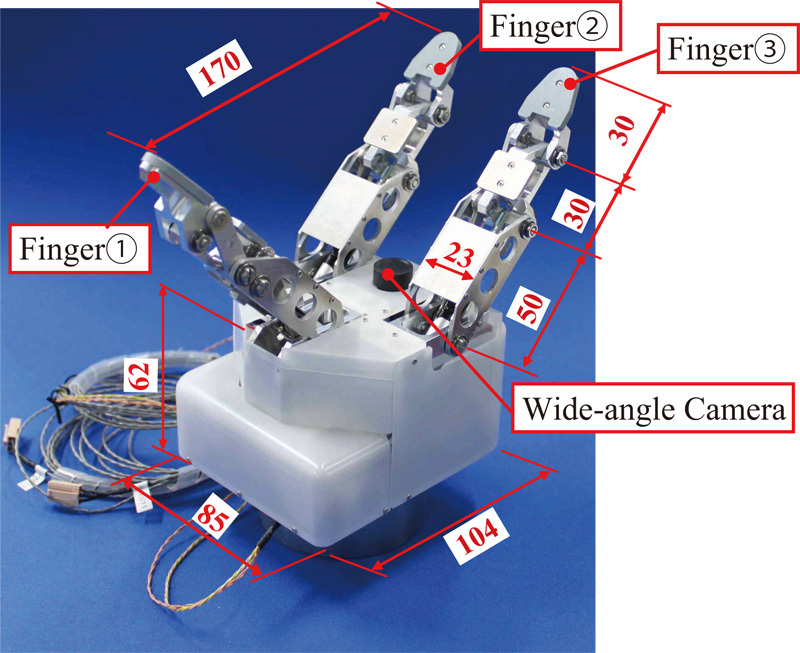 Y. Sato and K. Koganezawa, “Development of Five Finger Robot Hand with a Variable Stiffness Mechanism,” J. of the Robotics Society of Japan, Vol.35, No.6, pp. 479-485, 2017 (in Japanese). T. Ueno and M. Oda, “Development of an Index Finger for the Dexterous Hand for Space,” J. of the Robotics Society of Japan, Vol.28, No.3, pp. 349-359, 2010 (in Japanese). N. Fukaya, S. Toyama, T. Asfour, and R. Dillman, “Design of the TUAT/Karlsruhe Humanoid Hand,” Proc. IEEE/RSJ Int. Conf. on Intelligent Robots and Systems, pp. 1754-1759, 2000. K. Matsushita, S. Shikanai, and H. Yokoi, “Development of Drum CVT for a wire-driven robot hand,” Proc. 2009 IEEE/RSJ Int. Conf. on Intelligent Robots and Systems, pp. 2251-2256, 2009. K. Takagi and T. Komata, “100[g]-100[N] Robot Finger with Load-Sensitive Continuously Variable Transmission,” J. of the Robotics Society of Japan, Vol.24, No.2, pp. 263-269, 2006 (in Japanese). M. Uemura, K. Matsusaka, Y. Takagi, and S. Kawamura, “A stiffness adjustment mechanism maximally utilizing elastic energy of a linear spring for a robot joint,” Advanced Robotics, Vol.29, No.20, pp. 1331-1337, 2015. K. Kosuge, J. Lee, J. Ichinose, and Y. Hirata, “A Novel Grasping Mechanism for Flat-shaped Objects Inspired by Lateral Grasp,” Proc. of The 2008 2nd IEEE RAS and EMBS Int. Conf. on Biomedical Robotics and Biomechatronics, pp. 282-288, 2008. K. Kosuge, Y. Hirata, J. Lee, A. Kawamura, K. Hashimoto, S. Kagami, Y. Hayashi, N. Yokoshima, H. Miyazawa, R. Teranaka, Y. Natsuizaka, K. Sakai, M. Koizumi, J. Koyama, N. Kanayama, S. Tezuka, and H. Torimitsu, “Development of an Automatic Dishwashing Robot System,” Proc. of The 2009 IEEE Int. Conf. on Mechatronics and Automation, pp. 43-48, 2009.